We are really trying to incorporate natural solutions into our lives. It hasn’t happened over night but slowly we are making headway. We made this amazing Brown sugar body scrub and Honey Body Wash earlier. It feels so good to know your family is using products with items that you know what is inside! 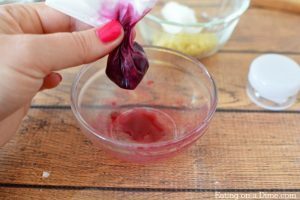 Today I’m going to show you how to make tinted lip balm. 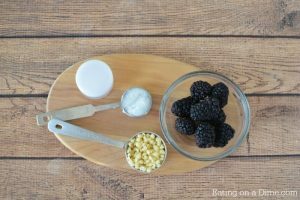 It is so moisturizing and the fresh blackberry juice gives it a beautiful tint. I think you will love it. We make a lot of our own products so I buy containers in bulk because it is cheaper. I purchased small containers on Amazon for a good price. 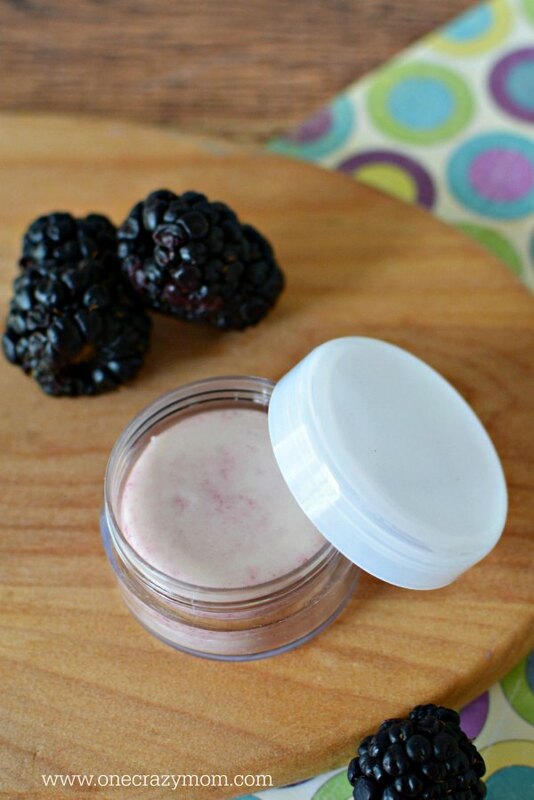 I also make this All Natural Cocoa Butter Lip Balm so we can always use extra containers. And coconut oil has so many uses so we can use that for all sorts of things. Amazon runs sales and coupons a lot so I buy the coconut oil there typically. This lip balm is so pretty with just a hint of color. Give it a try and let us know what you think. My girls love to help make this. They have even asked to hand it out to their friends. I don’t think you will go back to store bought once you try this. It’s very simple to make and doesn’t take a lot of time or money. That’s a winner in my book! 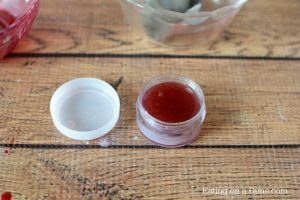 Let’s learn how to make tinted lip balm! 1. 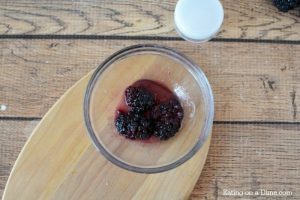 Place blackberries in a microwave safe dish with a splash of water. Microwave for 20 seconds. The berries will be hot. 2. Mash with a fork and squeeze out the excess juice. Set aside to cool a bit. 3. 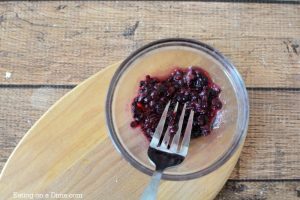 Place berries into a coffee filter and very gently squeeze the juice from the berries into a bowl. 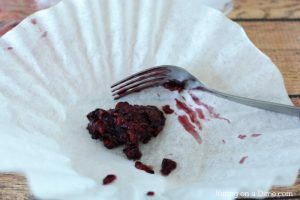 Be very careful as you will tear the coffee filter. 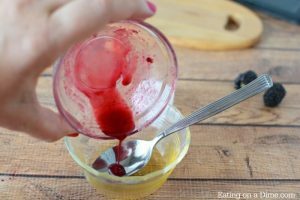 If that happens, move the contents into a new filter and gently squeeze as much juice as you can out of the berries. 4. In a small microwave safe bowl, add beeswax and coconut oil. Microwave for 2 minutes, stirring every 30 seconds until completely melted. 5. 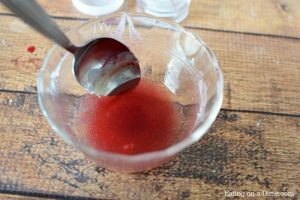 Stir in berry juice and mix well. 6. Pour into small container and let set to harden. 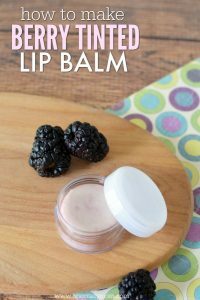 Wipe your finger across the lip balm and place onto your lips. 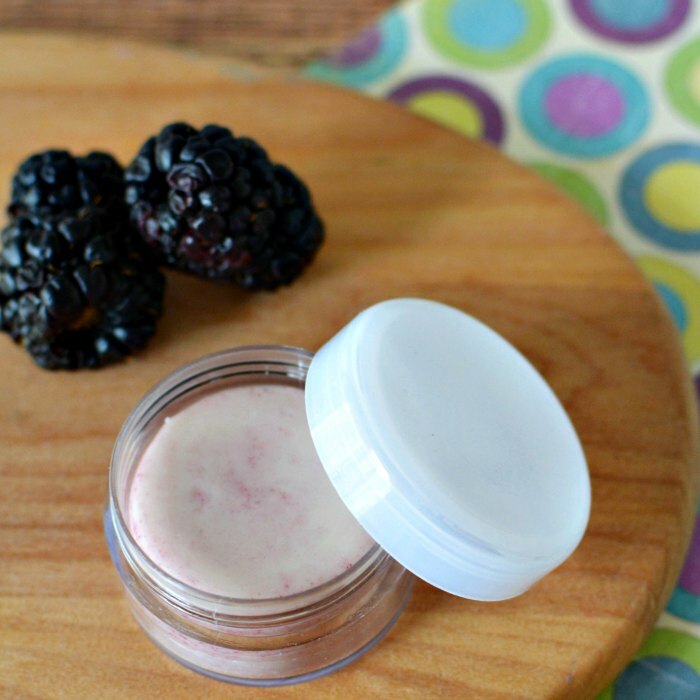 You are going to love learning how to make tinted lip balm! Come back and leave a comment and let us know what you think. 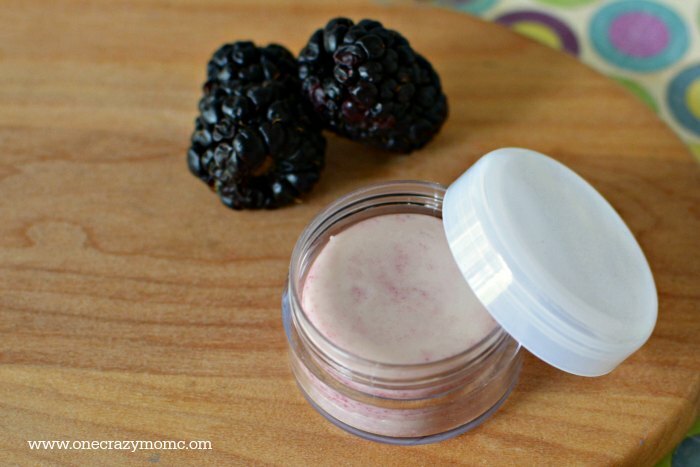 Try this Berry Tinted Homemade Lip Balm today.